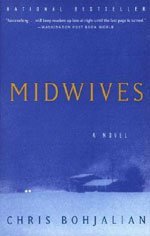 “The time is 1981, and Sibyl Danforth has been a dedicated midwife in the rural community of Reddington, Vermont, for fifteen years. But one treacherous winter night, in a house isolated by icy roads and failed telephone lines, Sibyl takes desperate measures to save a baby’s life. She performs an emergency Caesarean section on its mother, who appears to have died in labor. But what if—as Sibyl’s assistant later charges—the patient wasn’t already dead, and it was Sibyl who inadvertently killed her? As recounted by Sibyl’s precocious fourteen-year-old daughter, Connie, the ensuing trial bears the earmarks of a witch hunt except for the fact that all its participants are acting from the highest motives—and the defendant increasingly appears to be guilty.